With this wisdom in mind, Sister Madly faced the Faire with her customary devil-may-care disposition – that is, until an encounter with the Dodo resulted in the threat of arrest due to her fleeing the Battle of the Baked Goods the day before. The charges, of course, were absolutely ridiculous. Why, several inebriated witnesses will testify that multiple Sister Madlys stood at the edge of the battlefield so very briefly- that has to count for something! Lives to see another night. But in the barbaric world that is Renaissance Faire Justice, no one heeds the wisdom of the cookie. Thus Sister Madly was forced to seek quick and immediate shelter at the Scotch tasting, where she pinched a checkered tablecloth from beneath some very unsuspecting tipplers. Well, she just couldn’t go to the Highland Fling looking any ol’ how! 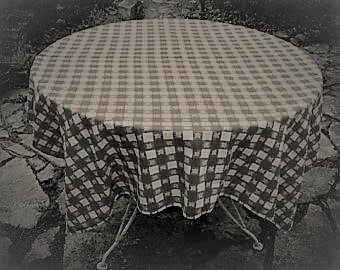 The tablecloth wasn’t particularly stylish, but she wasn’t alone- Clan Picnic Blanket had been making an appearance at the Highland Fling for several years now. Little was known about this group aside from the fact that they imbibed frequently and was comprised entirely of individuals named Scott*, which made them the easiest Clan to infiltrate. * Later modified to include those who had a ‘Scott’ in the family. * Not a lie so much as it was an unsubstantiated truth. The green tablecloth isn’t fooling anybody, Sister Madly. Maybe it was she who was fooled, Herr Dodo, by the green; perhaps Sister Madly is color blind. Of course this wasn’t true, they both knew that; but it was something the Dodo couldn’t disprove and would look like a poor sport if he tried. He would also look like a poor sport if he interfered with a race- or so she thought. You see, Sister Madly was under the faulty impression that by participating in the Keg Roll Relay, she would be safe from retribution. The race, however, was not as easy as she fancied: the keg was imbalanced, being half-loaded- much like the majority of Clan Picnic Blanket. Looping lines were all the rage for this lot, and while most teams headed vaguely towards the finish line, Clan Picnic Blanket veered sharply to the left- which abruptly ended the moment the Keg escaped the humiliation and rolled down the hill towards the Living History Village. 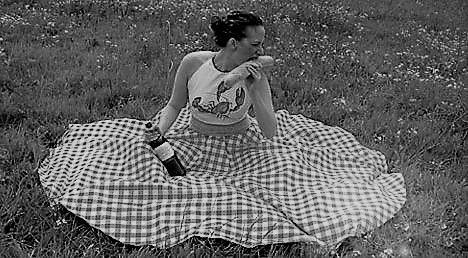 Naturally, Sister Madly was the last of her team to realize the gravity of the situation as the rest of Clan Picnic Blanket abandoned the race and headed for the nearest drinking establishment. Yes, there was a Keg bearing down upon the Vikings, and if Sister Madly didn’t make a move out of sight, she would be left to take the blame. Well, Miss Smarty-Knickers, what are you going to do now? Sister Madly was somewhat bewildered by this response. The Keg missed the Dodo’s pavilion by mere inches, so he had no reason to complain; in fact, he wasn’t anywhere near the Village, just lording over it on the hill. If he had been minding his own business over in the swamp, this wouldn’t even be an issue. Then again, perhaps the offense was more indirect. 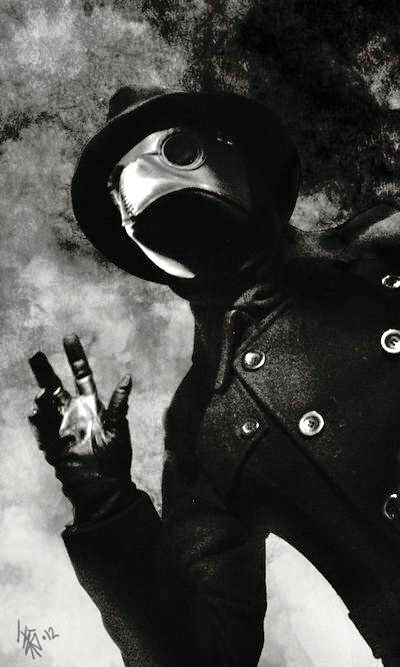 Perhaps he, like Sister Madly, was sensitive to hops; or perhaps he was one of those gluten-free Plague Doctors and saw the Keg as a passive-aggressive attack on his dietary lifestyle. At the very least, a health-conscious ol’ bird such as he should appreciate the fact that it was a free-range Keg that nearly destroyed the Village, and not one of those farm-raised, hormone-injected types. 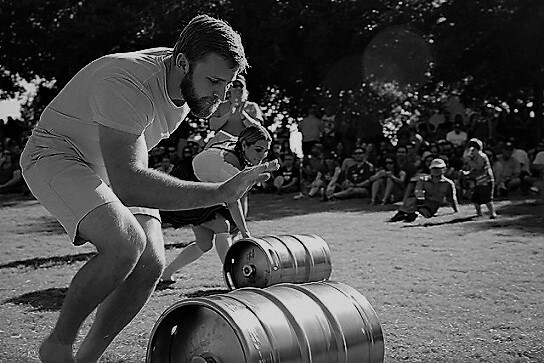 When you fling an 80-pound keg into a crowd, we eliminate the ‘passive’ part. Never had Sister Madly accomplished so much before noon. This entry was posted on November 17, 2016 by Sister Madly. 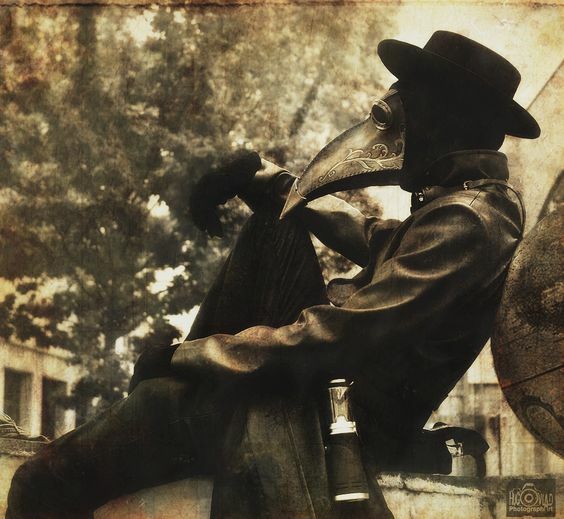 It was filed under Food, Plague Doctor and was tagged with blogging, cooking, dark, humor, Life, madness, personal, photography, prose, recipes, writing. Delicious! 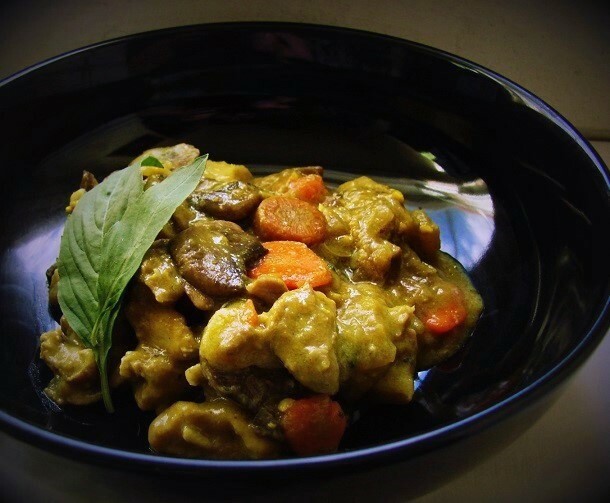 The words and the curry. Fortune Cookie Wisdom? Fortune Cookie Wisdom is an oxymoron! More importantly, any “Free Range Pizza” to go with that keg? I talked to the Faire authorities who were more than fair. The property damage charge has been dropped. What remains is DAFT! Unfortunately, all the pizzas around here are farm-raised, not free-range. It’s not the Faire authorities one must worry about when one destroys Viking property, but the Vikings. Fortunately, their rage was somewhat mollified by the gift of a half-loaded keg. The keg was drunk too? Well okay then. If you say it then it must be by the law of the cider house rules! While free range kegs may be more dangerous it’s obvious free range pizza creates a far bigger mess. My dogs felt that a pizza should be free of the confinement of a cardboard box once and we’re lucky the authorities weren’t called to the house that night. The kitchen and part of the living room resembled the aftermath of a Mafia hit. All the blood but no bodies. 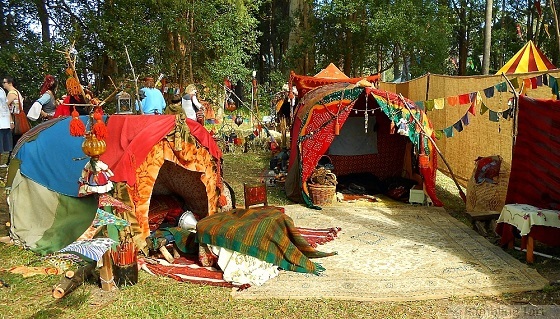 You should have told the Scotts that you chose the green tablecloth so you could lie in wait for any Vikings that might retaliate for destruction caused by free range kegs. They might have made you Queen. Ha! A Mafia hit… I can totally picture that, and it isn’t pretty! I’m beginning to think that ‘free-range’ isn’t all it’s cracked up to be. Too bad they weren’t Irish. You’d never have to worry about them sobering up. We Irish are genetically predisposed to inebriation. I can get sauced drinking water and thinking about whiskey. Oh, to be blessed with such a gift… I’d drink water more often! And Happy Holidays to you as well!